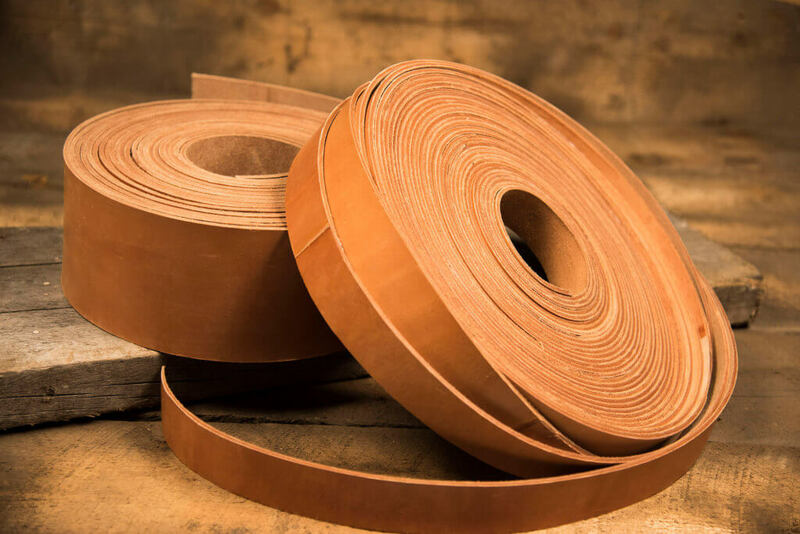 Flat Leather Belting is available as single ply, double ply, and 3-ply. Choose from Extra Heavy, Heavy, Medium and Light leather that is curried and stretched. All belts are available in Endless, Prepared Ends, Square Ends or Laced. The specially selected choice leather is curried in our facility for flexibility, strength and the highest possible coefficient of friction. Our uniquely effective stretching method and waterproof cementing procedures assure the laps and plies will last for the life of the belt.